Sheila Kathleen Simpson Dibos went home to our Lord on Thursday, November 15, 2018. A beautiful San Diego native, Sheila was married for 55 years to Robert J. Dibos Jr. who preceded her in death in 2013. “Bob and Sheila” are reunited with the Savior they both adore, with each other, their parents and her two brothers. As Catholics, their faith In Christ was and is the bedrock of who they are. A 1957 graduate of Lincoln High School, Sheila spent one year in fashion design college before marrying the love of her life. They had 6 children, 21 grandchildren, and 7 great-grandchildren. They raised their family in Escondido and in 1991 followed their dream and moved to Julian where they spent many glorious years in the mountain home they built. Their five acres became a fun-filled sanctuary with tree houses, a horse arena and stables, and even a baseball diamond. Kids, grandkids, nieces and nephews, and kids who called her “Grandma” all loved visiting. A phenomenal cook and baker, Sheila’s meals were unsurpassed. She was an extraordinary seamstress and designer, a fearless and loving wife, mom and grandma. She generously shared her many gifts and love with all those who knew her. She was a dear friend to many. 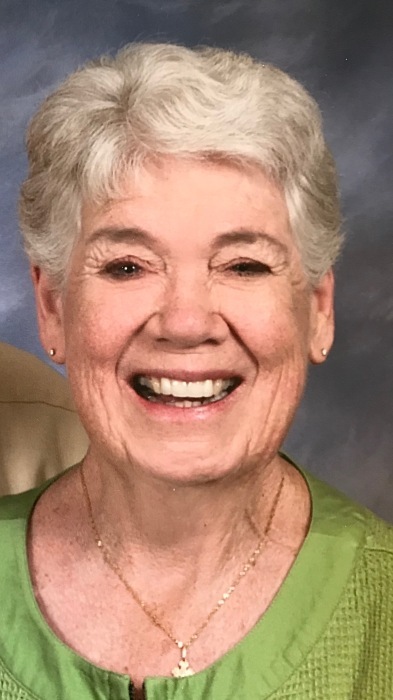 She was a teacher at heart and loved instilling her faith in her grandchildren, as well as in the students she taught at St. Elizabeth Catholic Church in Julian. She lived every one of her 79 years with an insatiable love for Jesus. Her greatest legacy is 3 generations following her example, flourishing with immovable faith and endless love. How blessed are we? Sheila leaves many friends and a big, close family brokenhearted & rejoicing at her passing. Included are her children and families, her dear sister Peggy, and her eleven brothers and sisters she inherited from Bob, who dearly loved her like a sister for 60 years. She will be more than missed, but her legacy lives on. Her Celebration of Life will take place on Monday, December 10, beginning with The Rosary at 10am and Funeral Mass following at 10:30 a.m. at St. Michael’s Catholic Church, 15546 Pomerado Rd. Poway. Burial will take place at 2:00 pm the same day at Pioneer Cemetery in Julian. In lieu of flowers, donations would be very appreciated to Life Choices Poway at 13412 Pomerado Rd. Suite C, Poway, CA 92064. Bonham Bros. & Stewart Mortuary and Cremation Service is assisting the family.